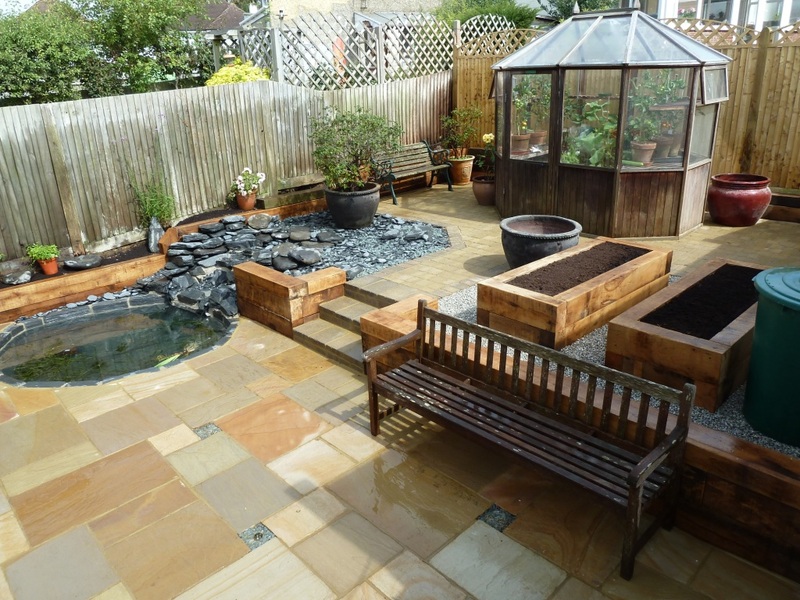 Brief: This garden was created after years of collecting individual items that were great on their own, but set together in one space simply looked cluttered. 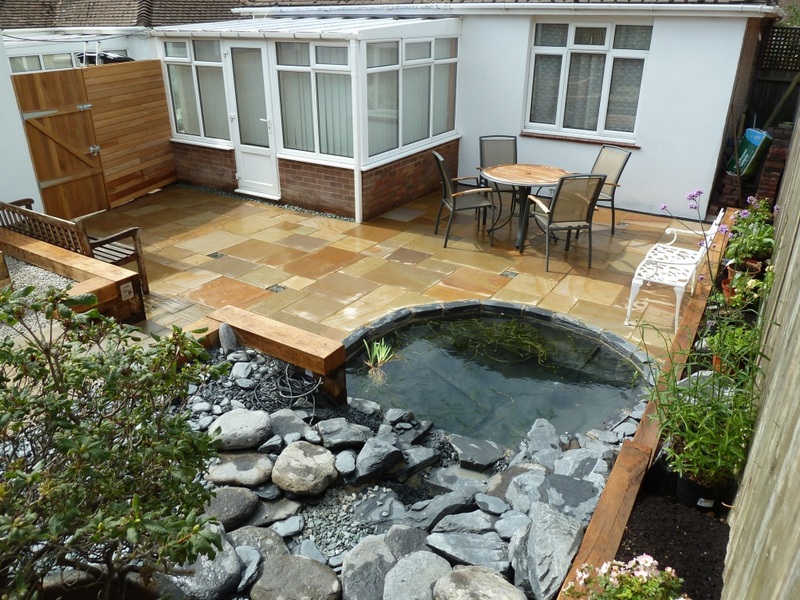 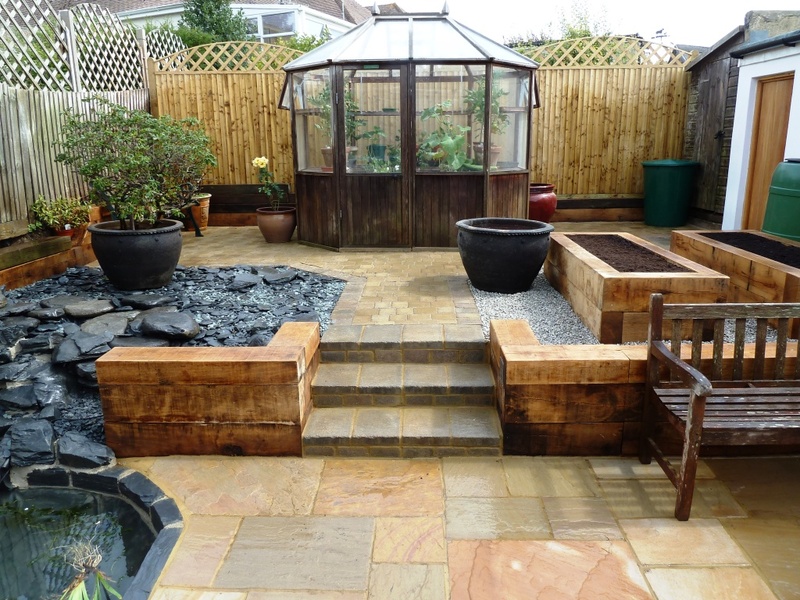 Our brief was to create a garden that would be classically low maintenance, with easy access for planting. 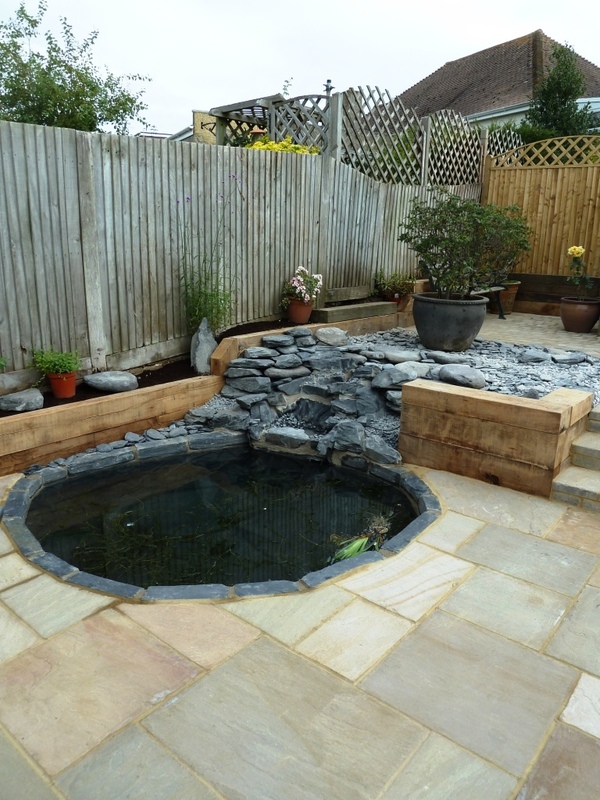 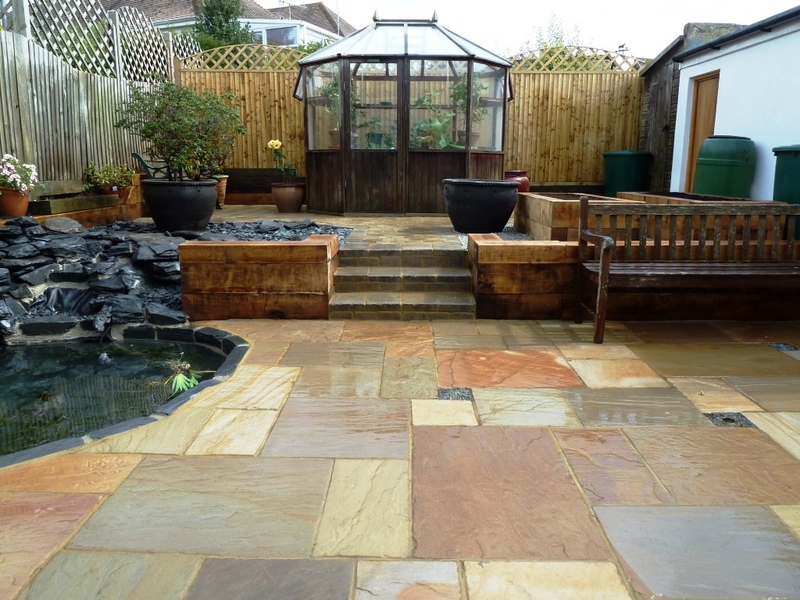 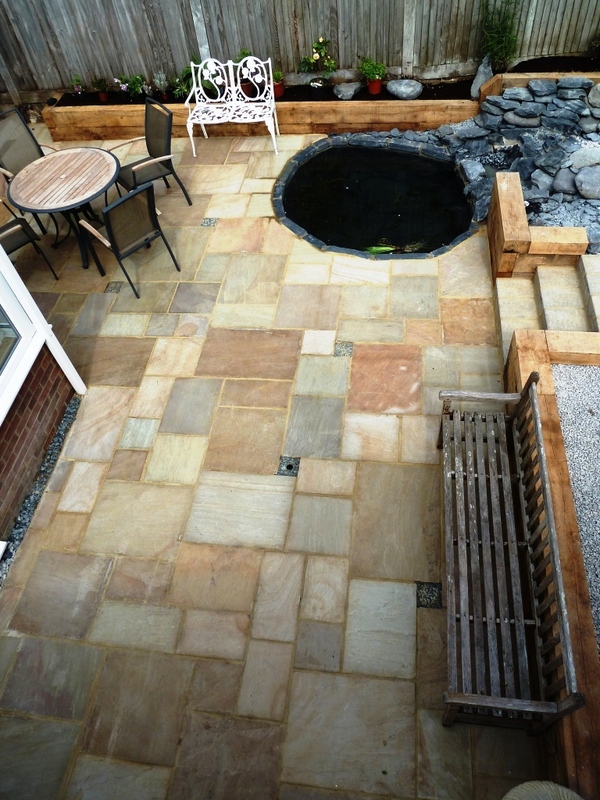 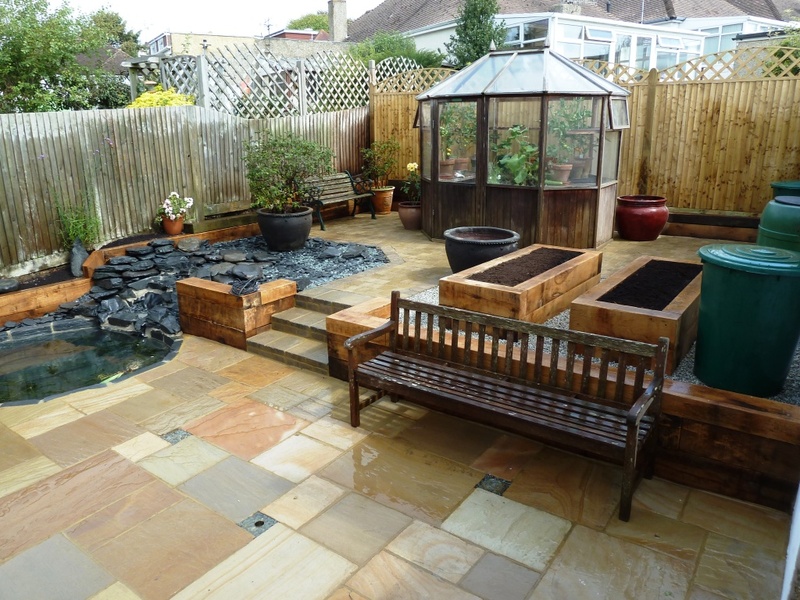 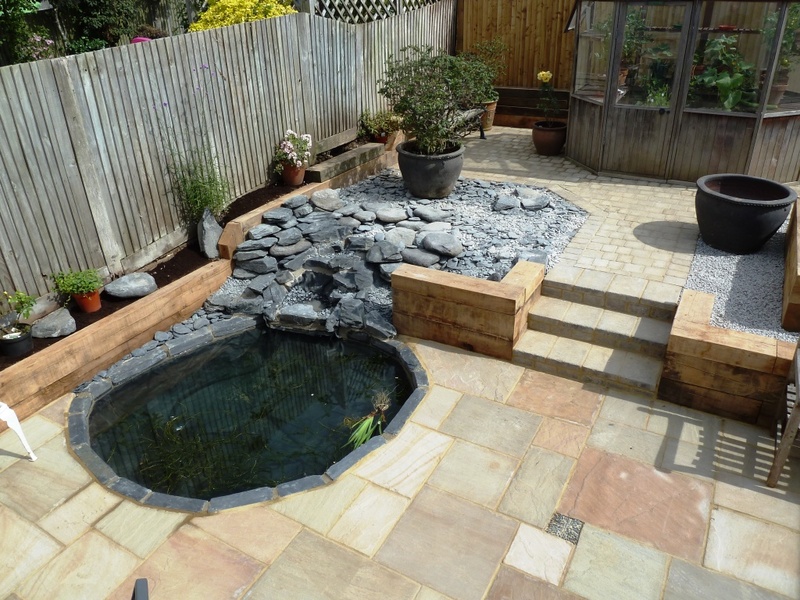 We began this project by removing a large amount of material in order to create the new levels on which we then used Marshalls Fairstone paving to create a new patio. 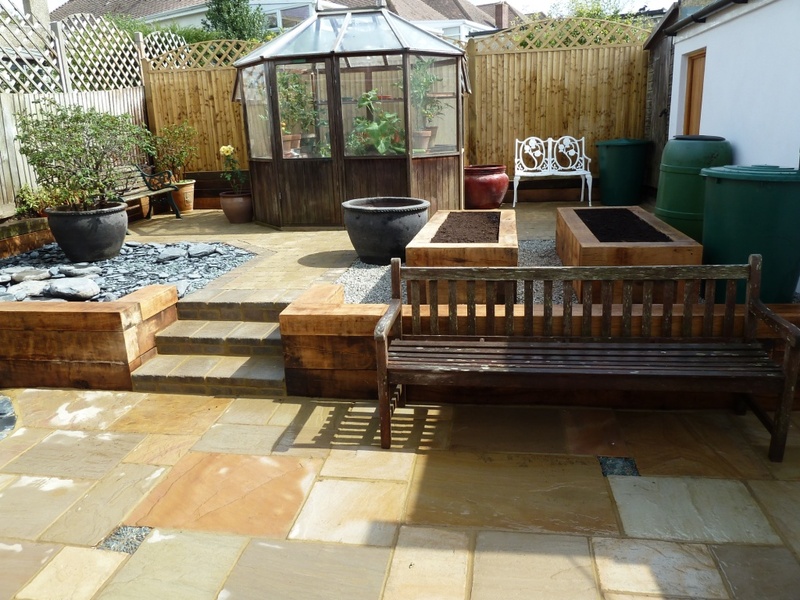 We removed all areas laid to lawn, with its need for constant maintenance, and installed raised planters instead. 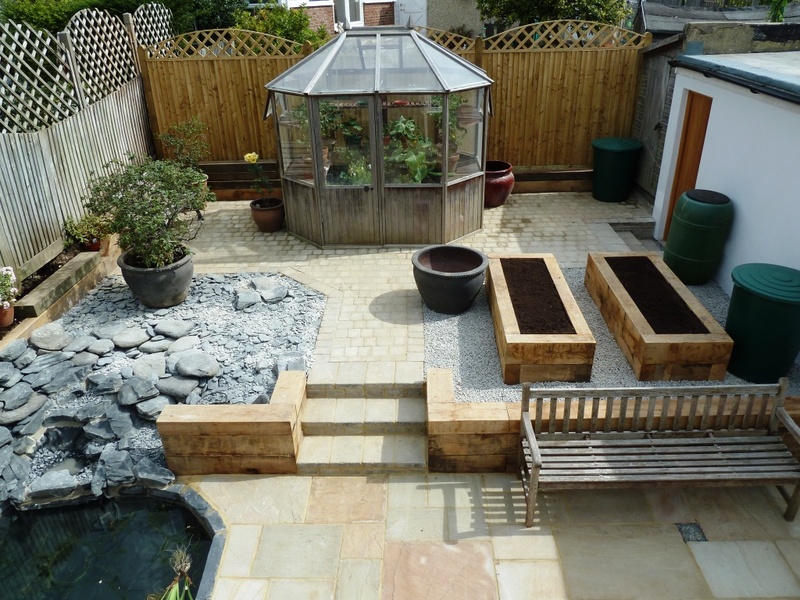 After creating a blank canvas by excavating with a digger, we then set our new fence lines to increase the size of the garden. 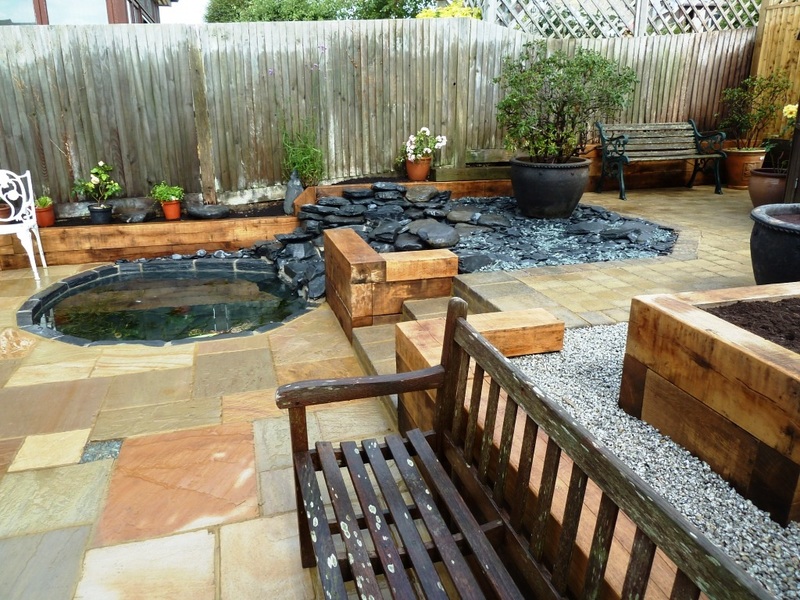 Hedges, lawns and anything that needed trimming were removed. 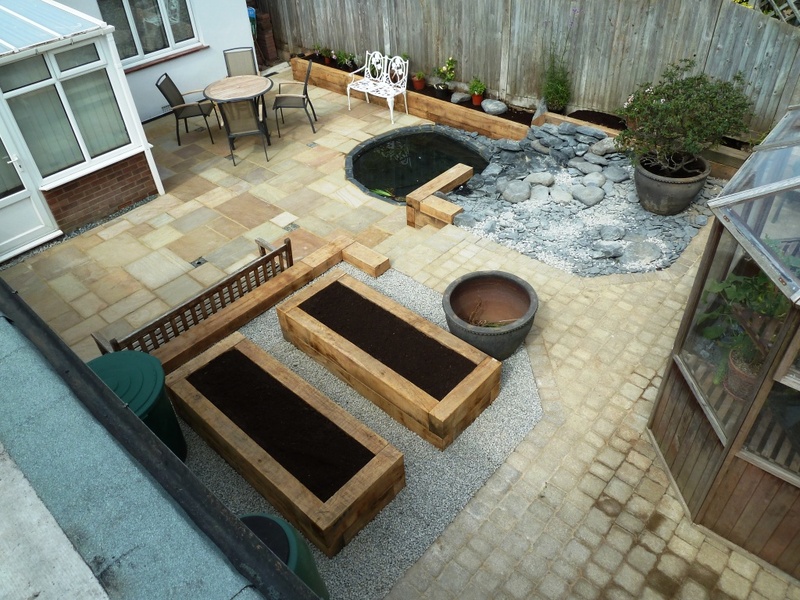 Once this was done we marked out the proposed paving and changes in level and began the hard landscaping. 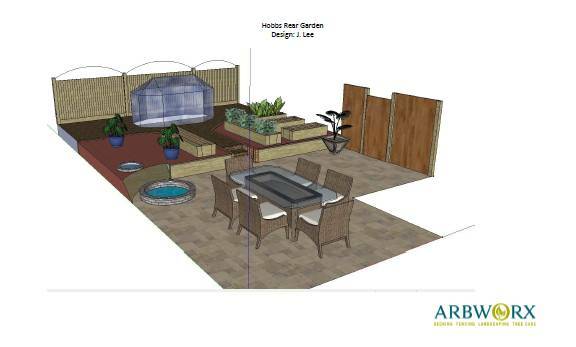 Take a look at the pictures below to see how we went from an idea on paper, through to a 3D design render and finally the completed project. 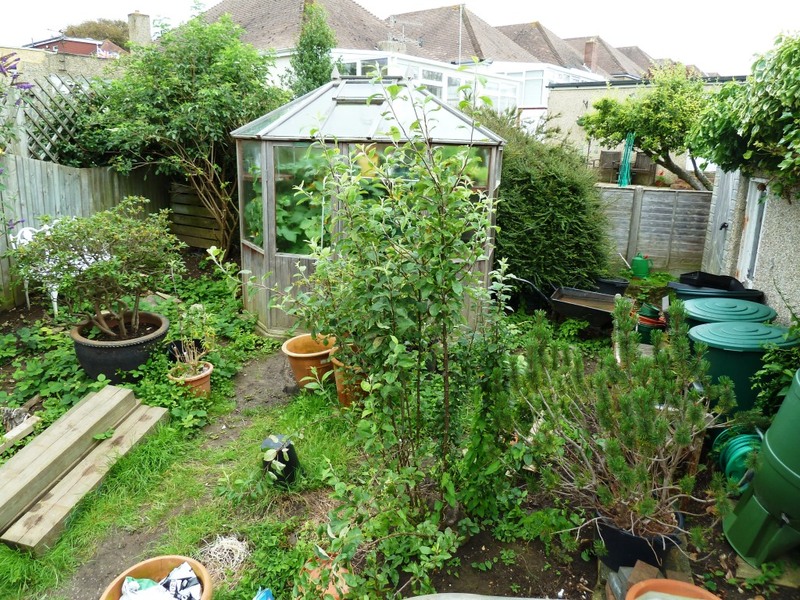 The only original thing left from the previous garden was the greenhouse!